It was very homie. Extremely friendly staff, served fulfilling and delicious breakfast, great heating system and comfy bed. I enjoyed my stay and would stay again. It's definitely worth it. 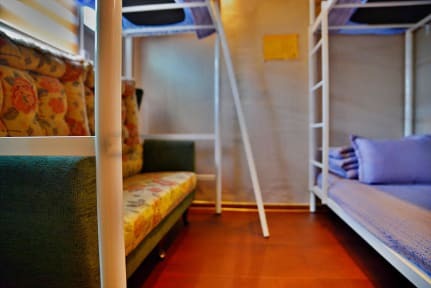 This hostel was a great place to stay during my short visit to Yeosu. The staff are great and greeted me with a plate of delicious jeju oranges after showing me my room and I really appreciated it. The room was nice and cozy with a heated floor. It is about a 5 minute was to the 2012 World Expo grounds and Aqua Planet Aquarium and a walk to a bunch of shops for clothing, food, makeup, etc. Next time I go back to Yeosu, I will be sure to stay here again. 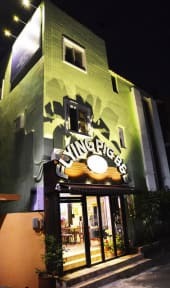 I stayed for one night at the Flying Pig and had a great time. Good location, great owner, good value. The decor is a little grandmother-y but it was quaint. It might be a bit odd if you're with your girl/boyfriend but didn't affect me. The hostess was absolutely lovely. I forget her name but she spoke English well and was eager to help and was very efficient. She was watching Grand Budapest Hotel to practice her English which was cute. Would stay again! Lovely place to stay at while in Yeonsu. A bit confusing to find the place since the map provided showed the adress of the local bath house. The breakfast was amazing, with fruits and eggs freshly made and put in front of you. Would stay here again if I happen to travel nearby again.